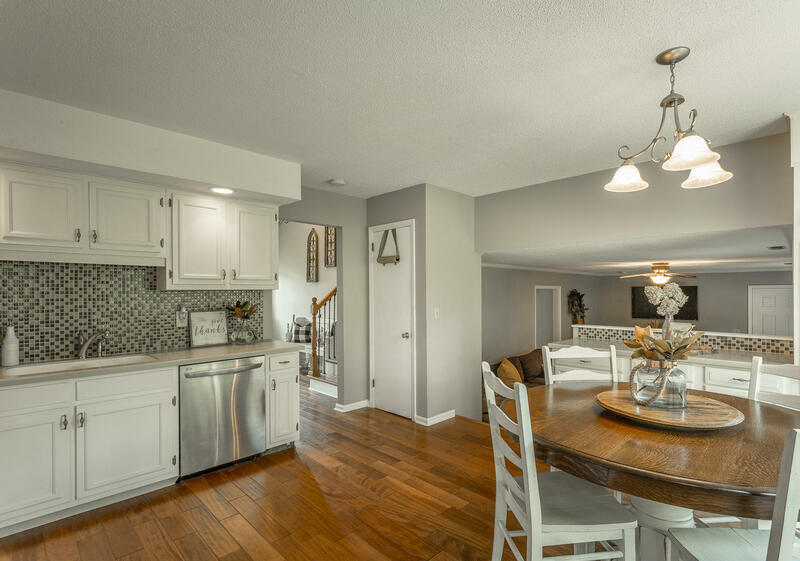 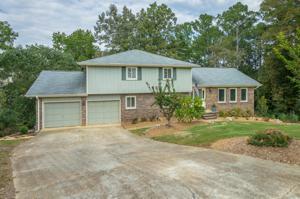 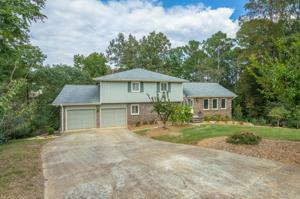 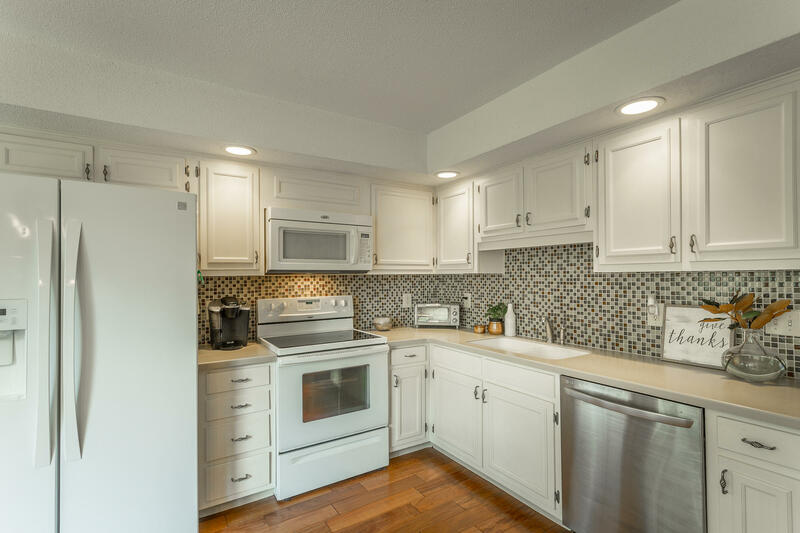 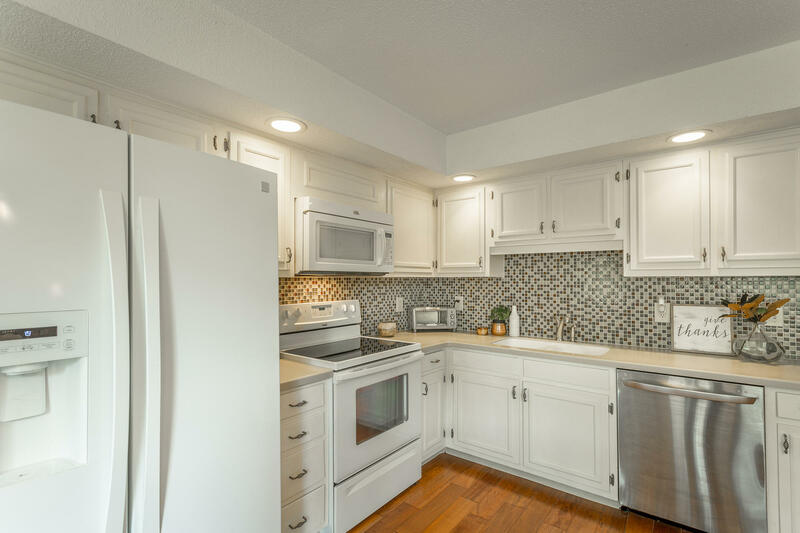 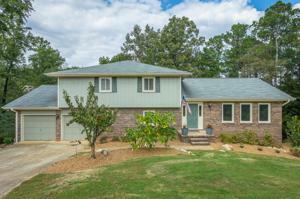 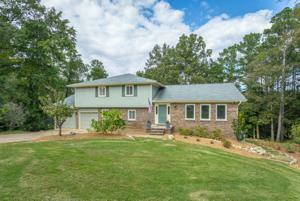 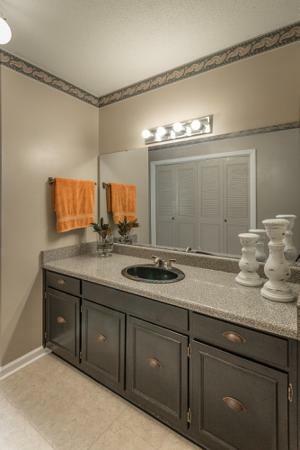 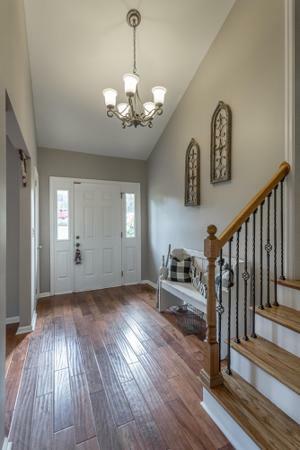 Welcome home to this beautiful 4 bedroom, 3 bath home with spacious rooms throughout. 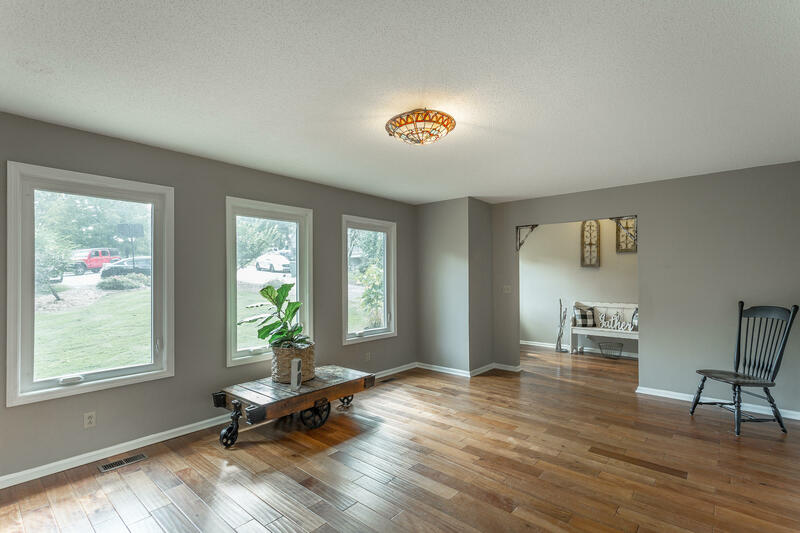 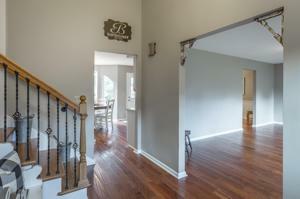 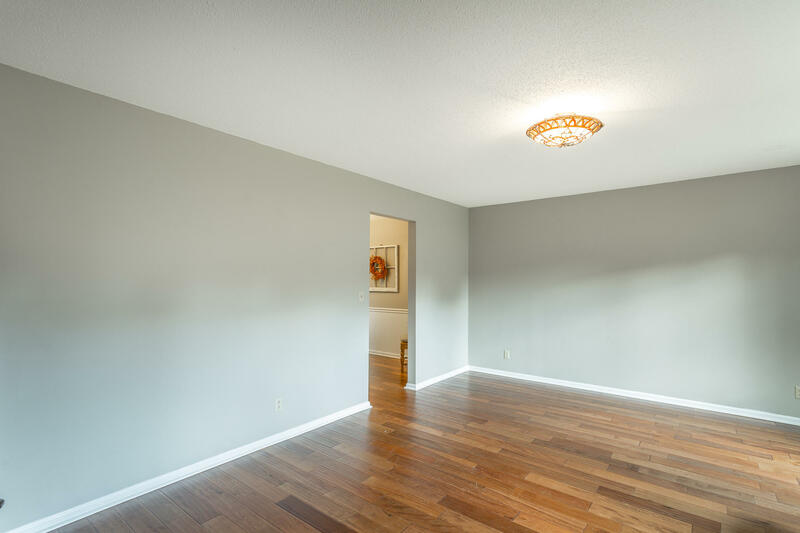 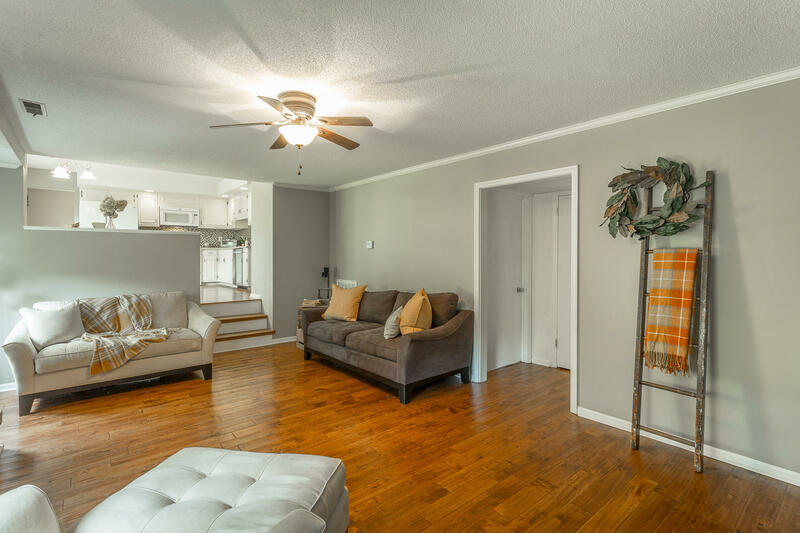 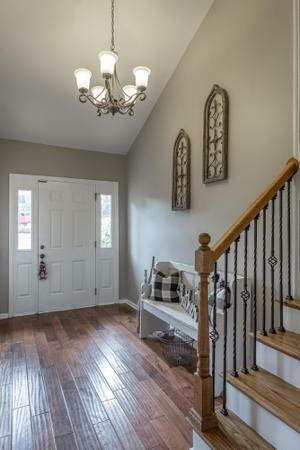 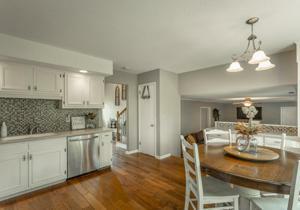 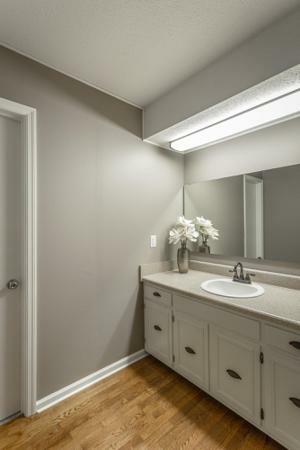 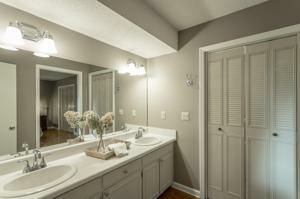 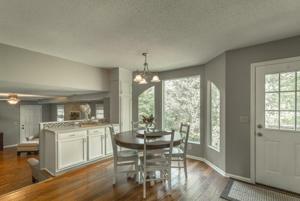 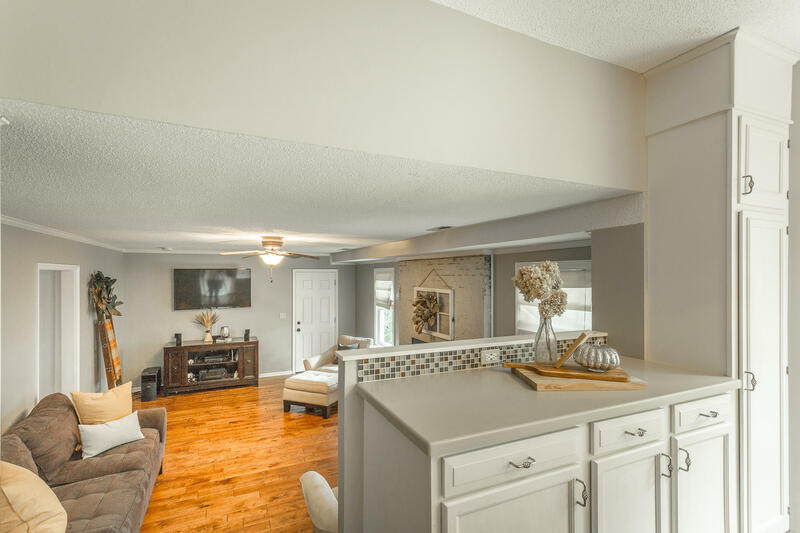 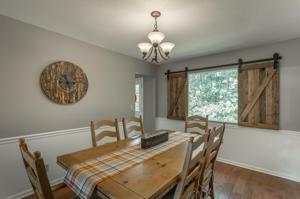 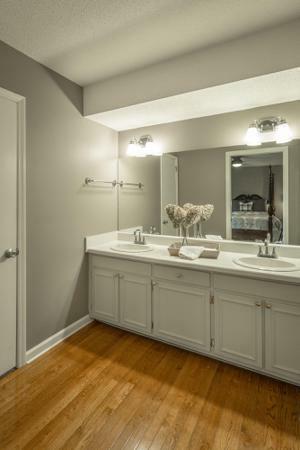 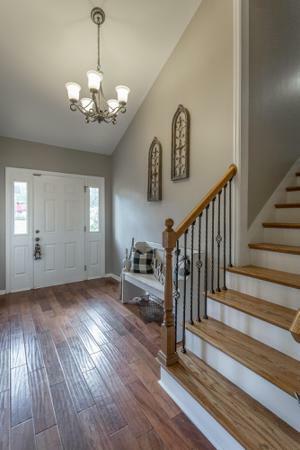 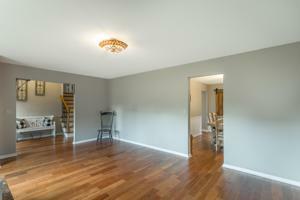 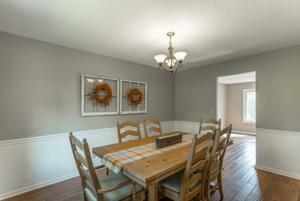 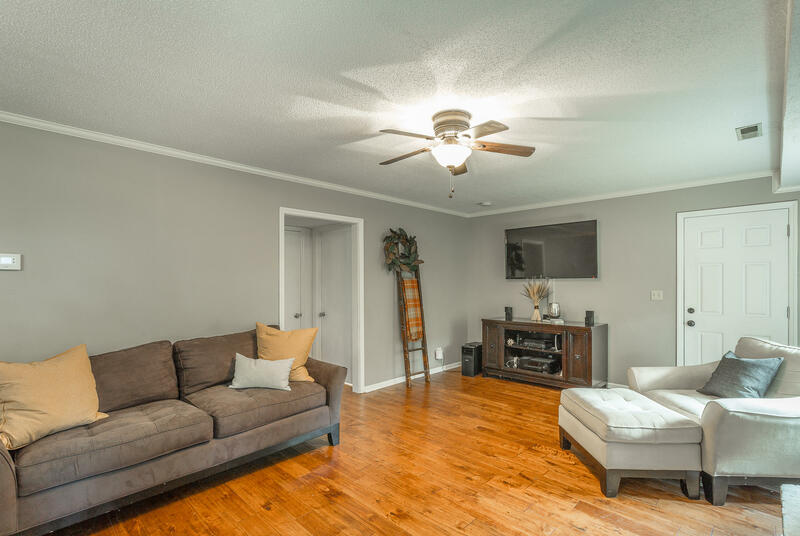 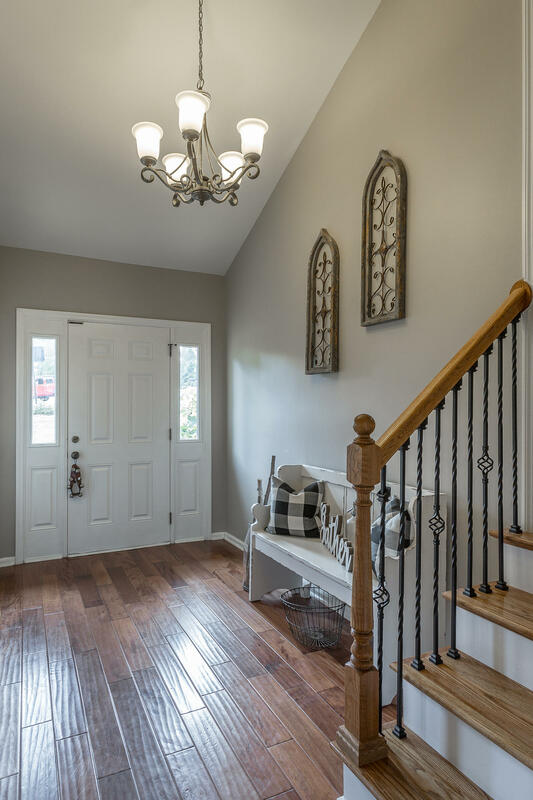 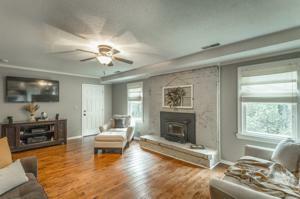 You are welcomed with beautiful hardwood floors and warm colors into the foyer and living room. 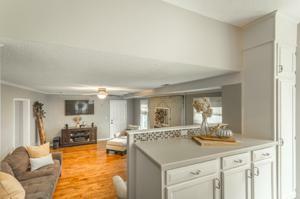 The living room overlooks the beautiful front yard. 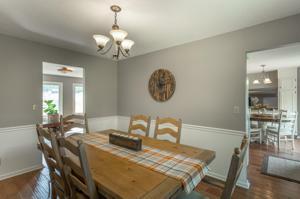 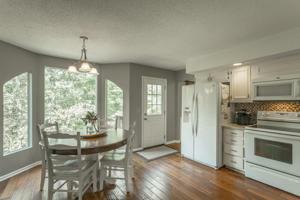 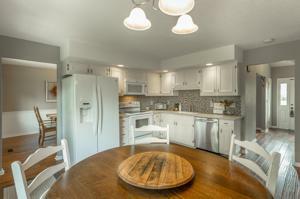 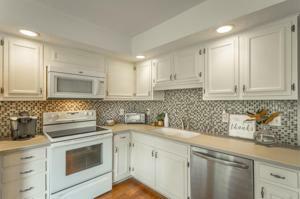 The kitchen is open to the cozy den and dining room. 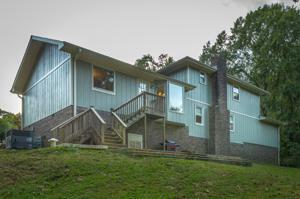 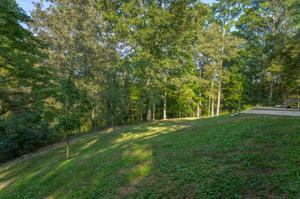 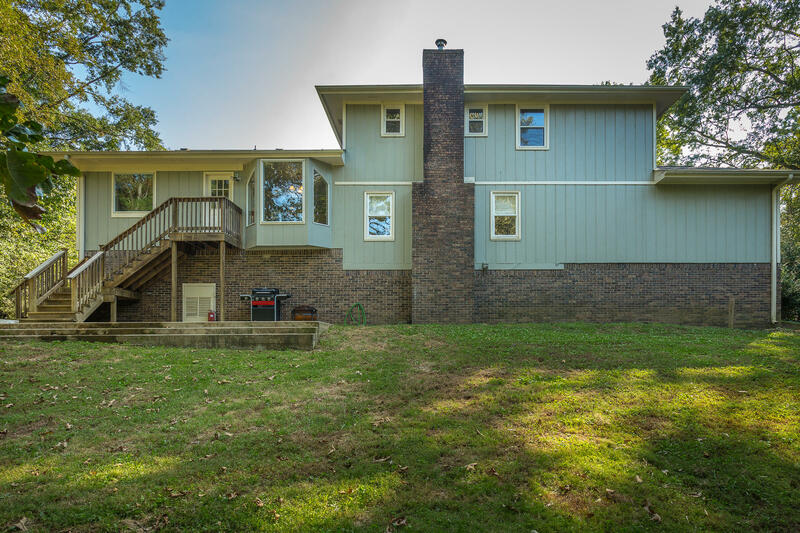 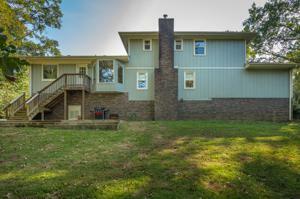 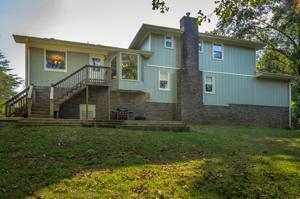 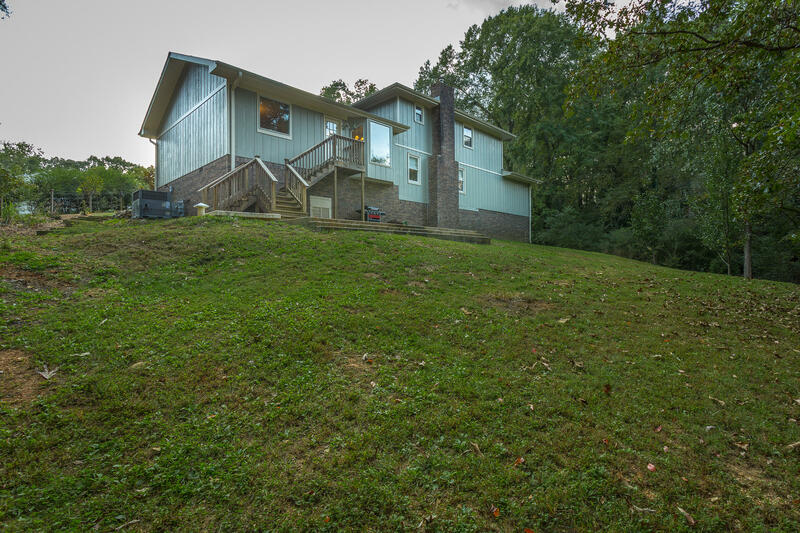 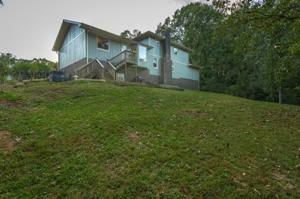 Enjoy having your morning coffee overlooking the wooded back yard. 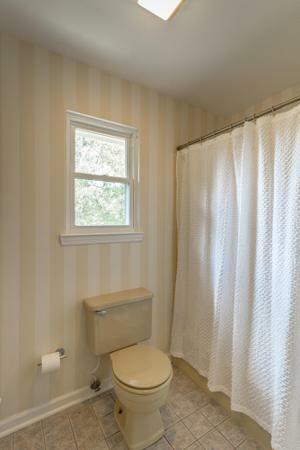 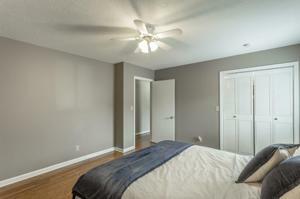 Upstairs is the master with en suite and two large additional bedrooms. 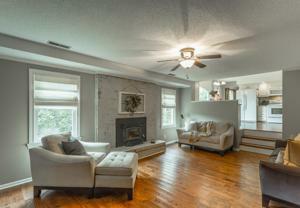 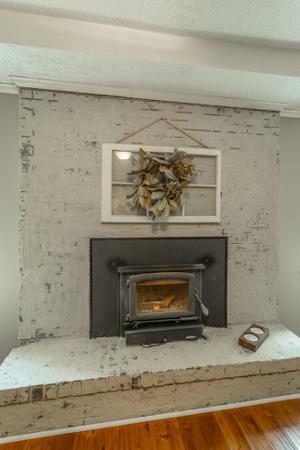 The den with wood-burning fireplace is a comfortable place to send time with family and friends. 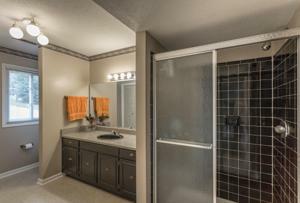 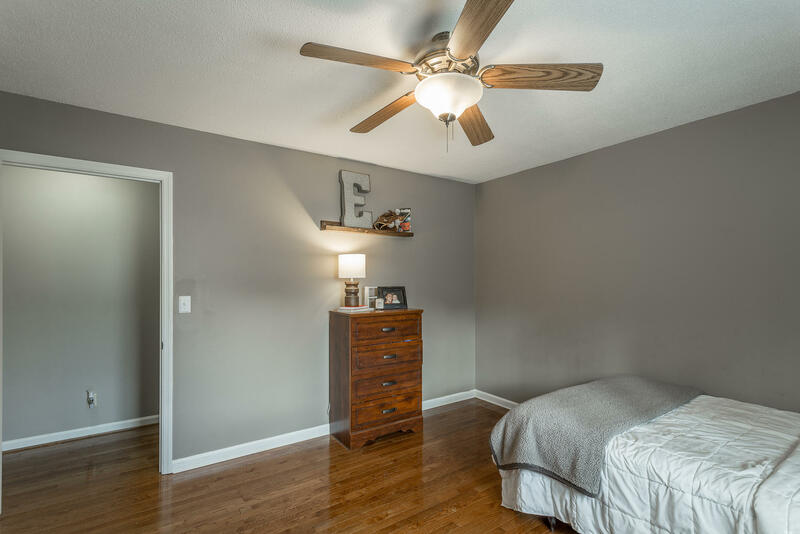 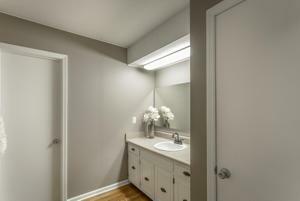 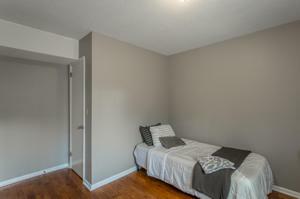 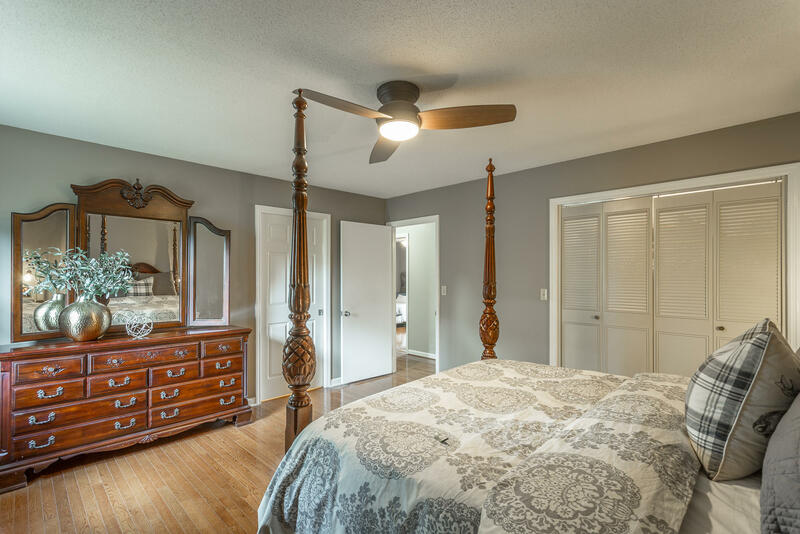 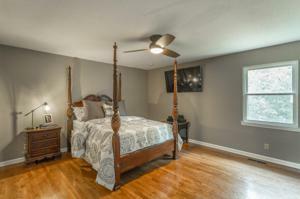 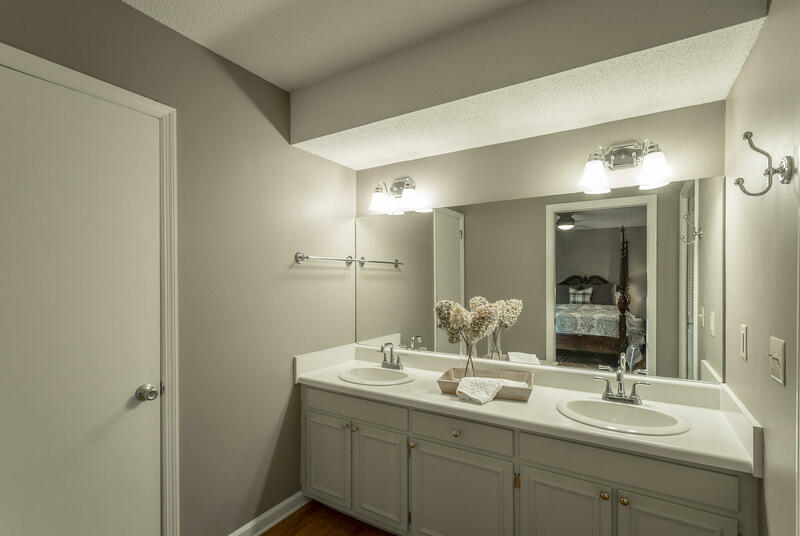 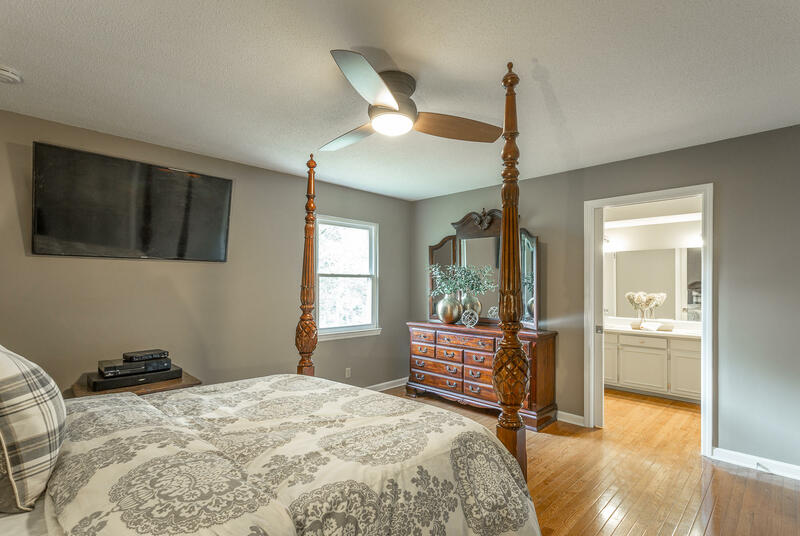 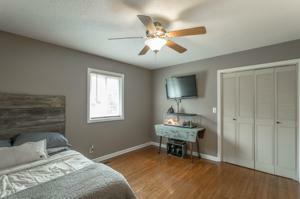 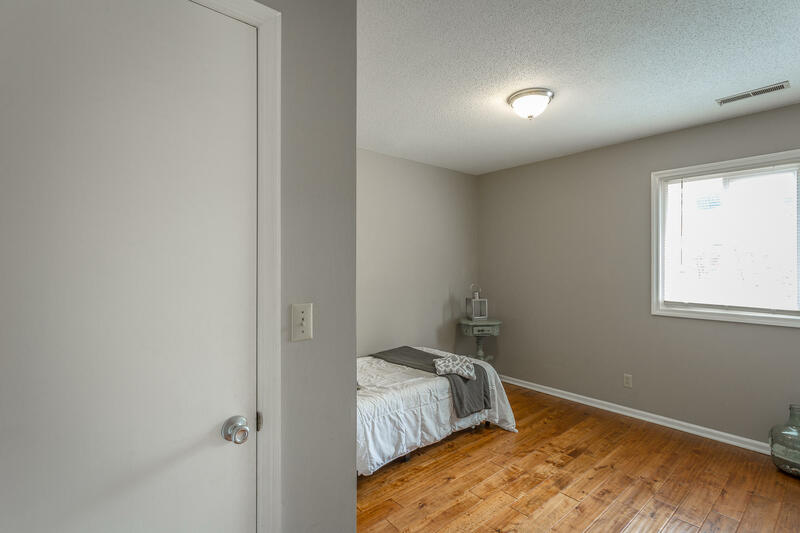 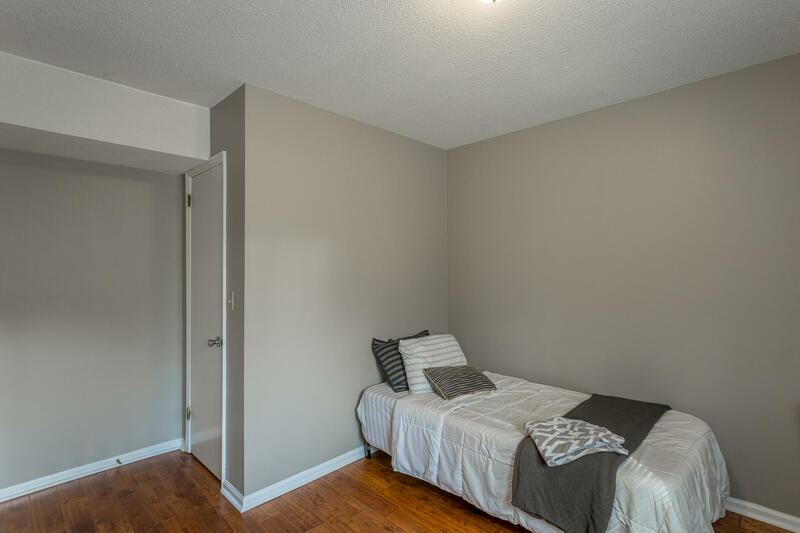 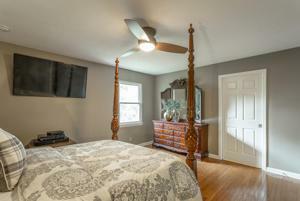 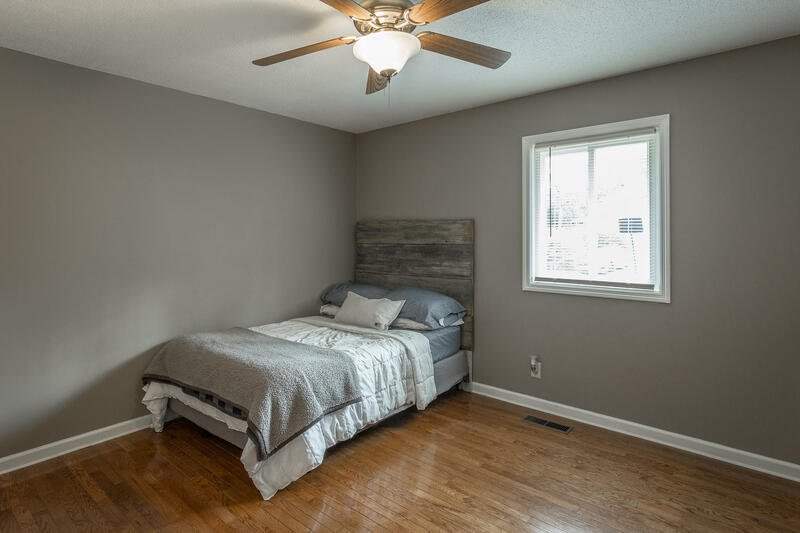 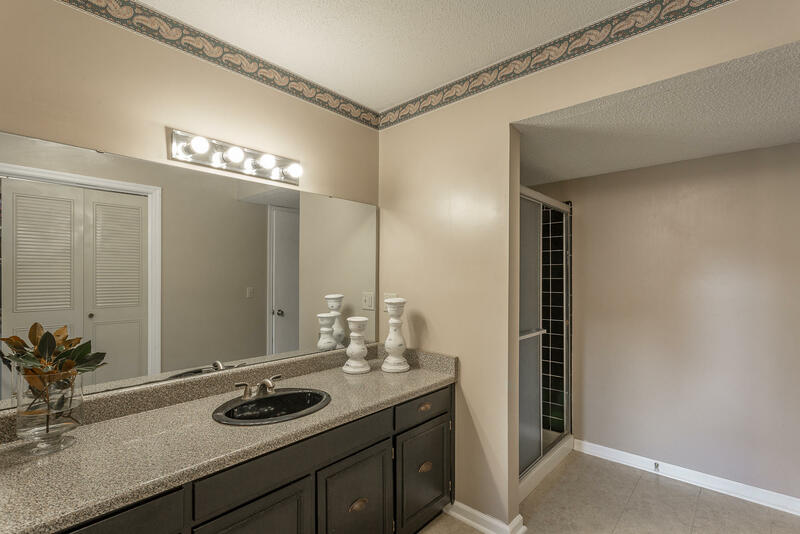 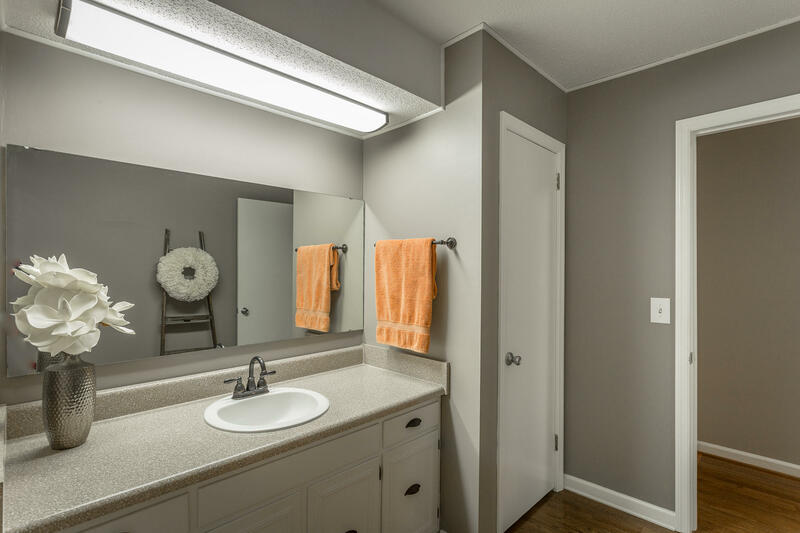 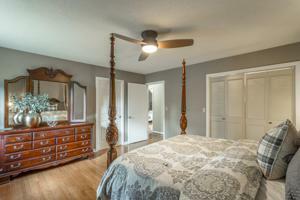 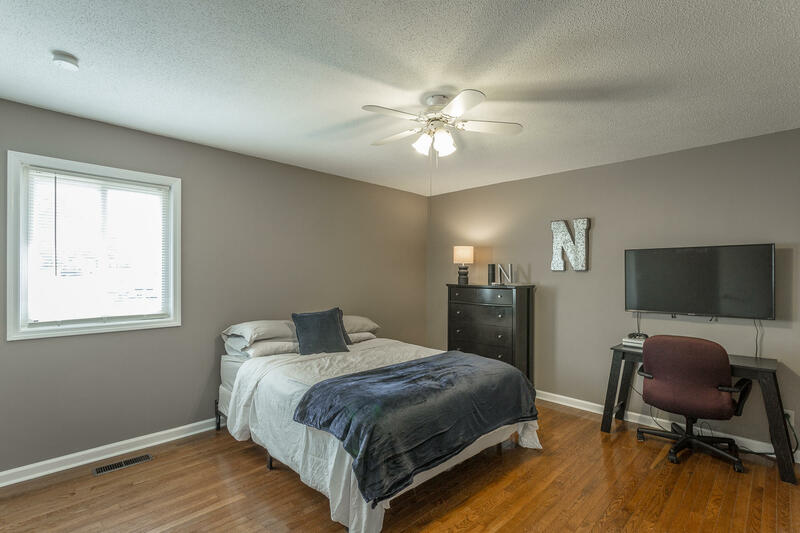 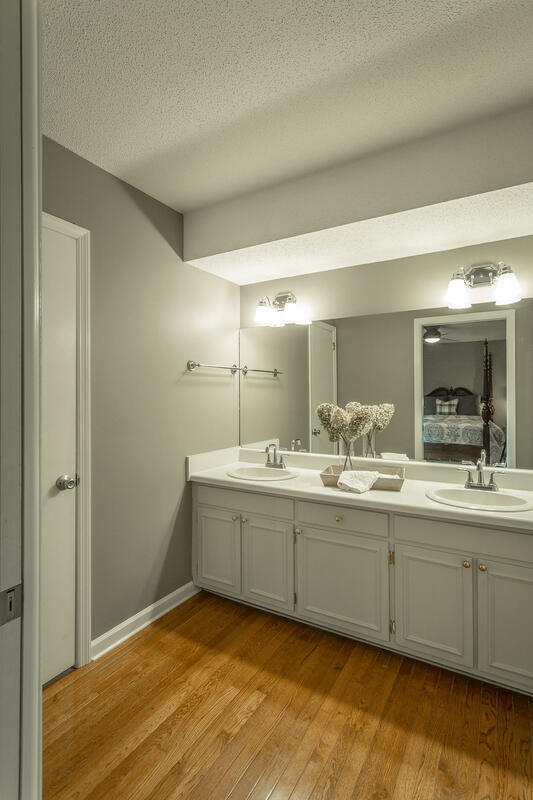 The fourth bedroom with full bath is great space for your teen or an in-law suite. 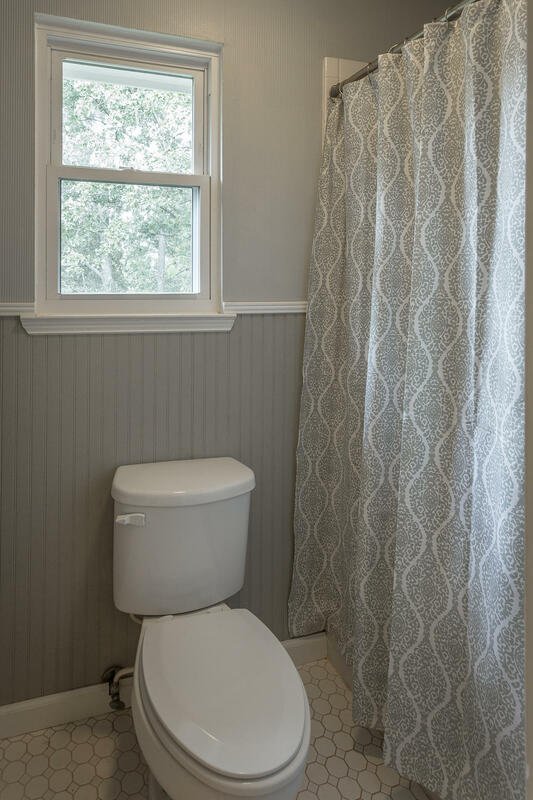 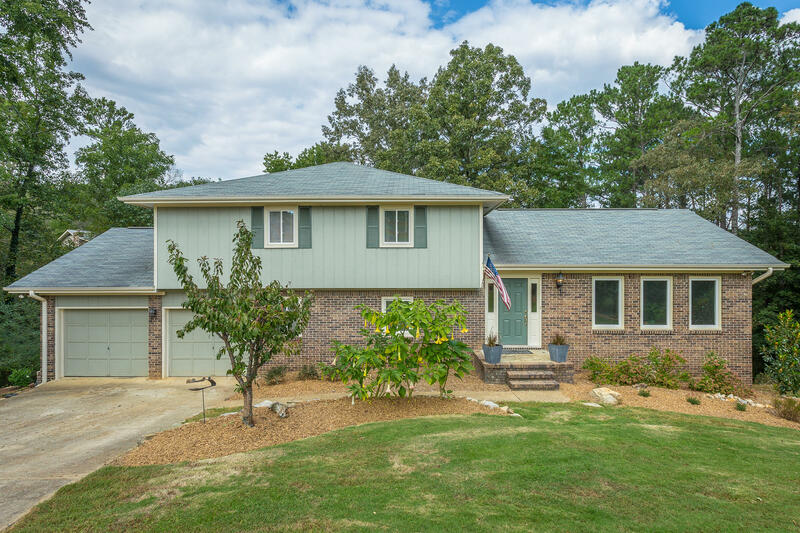 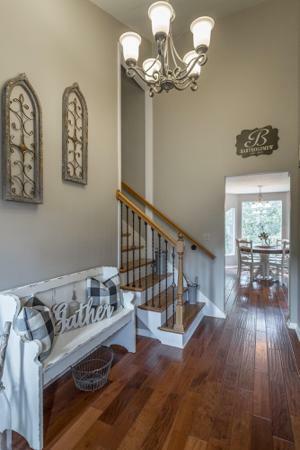 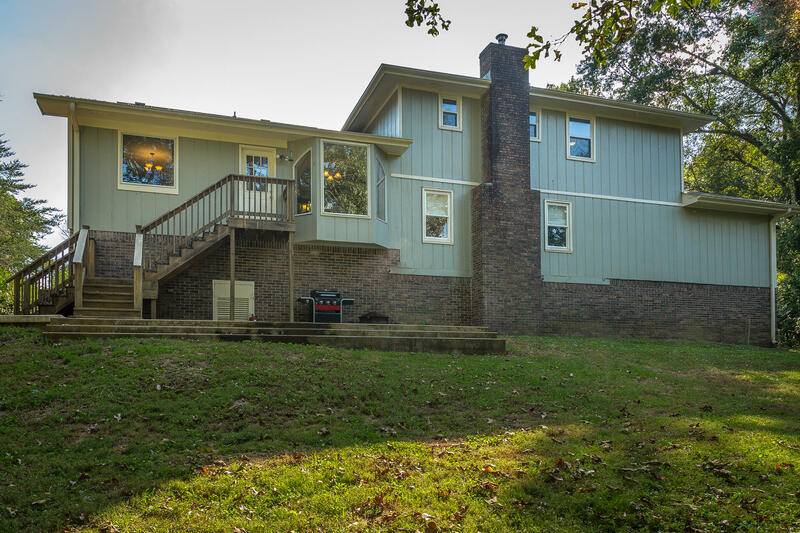 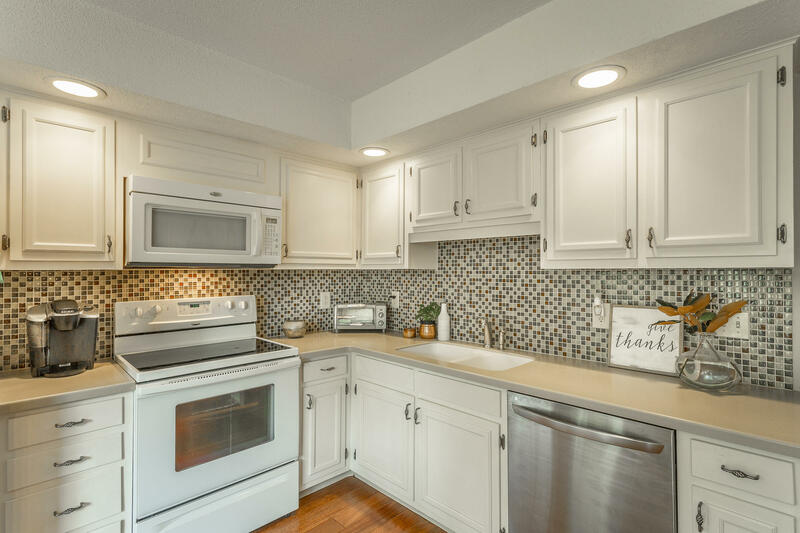 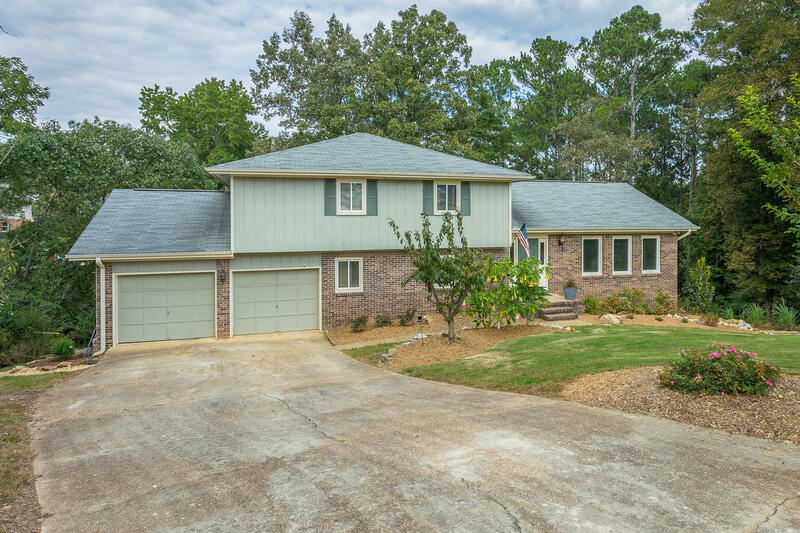 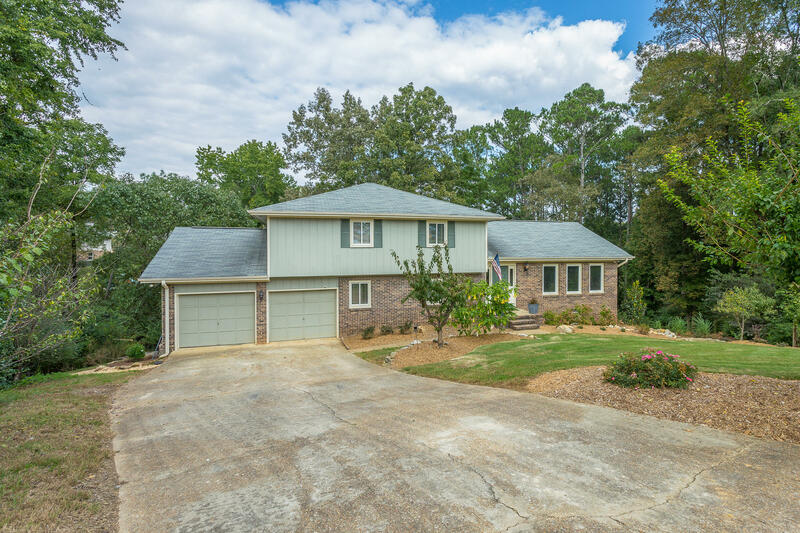 This home has been updated with warm paint colors, new hardwood floors, windows, barn wood style shutters and new landscaping and permanent storm shelter. 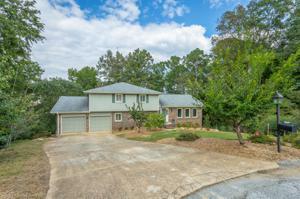 Great home, great neighborhood.